Clay Aiken – A Little of This and A Pinch Of That! It’s the beginning of a new week and for Clay Aiken fans, there is much to think about. We get the second square on the Picture Puzzle at the Official Fan Club today. Do you remember what time the first piece of the puzzle was posted on Friday? I think it was about 1pm EST. Give a guess as to what square will be revealed today?? Bottom right?? Bottom left?? Which ever it is, it will be fun!! Now, I am not a big fan of Star Magazine, but their April 19th issue had a great picture of Clay and Ruben and they even said something nice!! Some exciting news was found today at Amazon. It seem that Tried and True is already listed in three different countries outside of North America. Lets hope some more countries show up too. MGM Grand Foxwoods – Mashantucket, CT. Horseshoe Casino – Hammond, In. Tickets will be on sale on Friday, April 23rd. More details will be posted towards the end of the week. 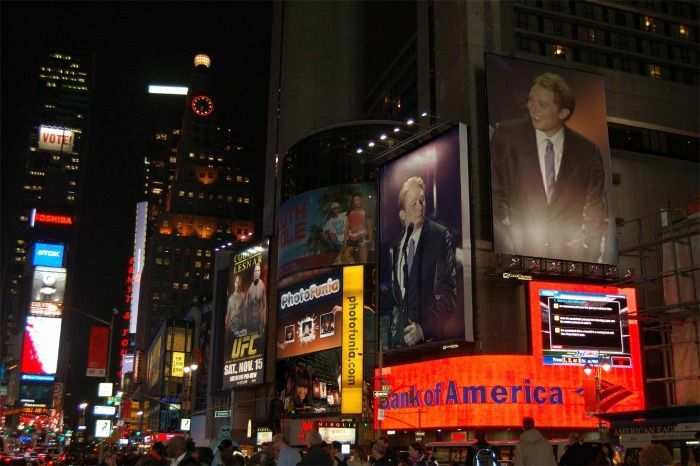 The Talented LovesClayVoice had fun with some of the recent Clay Aiken pictures. Have a wonderful week! Let’s hope it’s filled with lots of news. This is so exciting. I love all this buzz. I also hope Tried and True goes all over the world! Loved seeing the new pictures today. LCV's picture is now my desktop. Watching ofc for the new piece to the cluzzle. So far all the bits and pieces are coming well together and they are all about positive anticipation! Decca has my respect, what a wonderful start. Whoever’s working behind the scenes feeding the media and flexing the publicity muscle, great job! All we have to do is sit back and relax (NOT) and watch the magic unfold for TnT. EXCITING! Clay is such a tease, but I love him. Can hardly wait to see what the next puzzle piece will be. Yep………Clay is a tease!! We should see the new piece any moment!! I love the pictures form today. Thanks for posting them!! Well, I saw the new picture puzzle (or Cluzzle) today and of course it is his feet. I don't expect to see his face until the last day (Friday). But, that's alright, because it is a lot of fun waiting to see which part of the cluzzle will appear next. 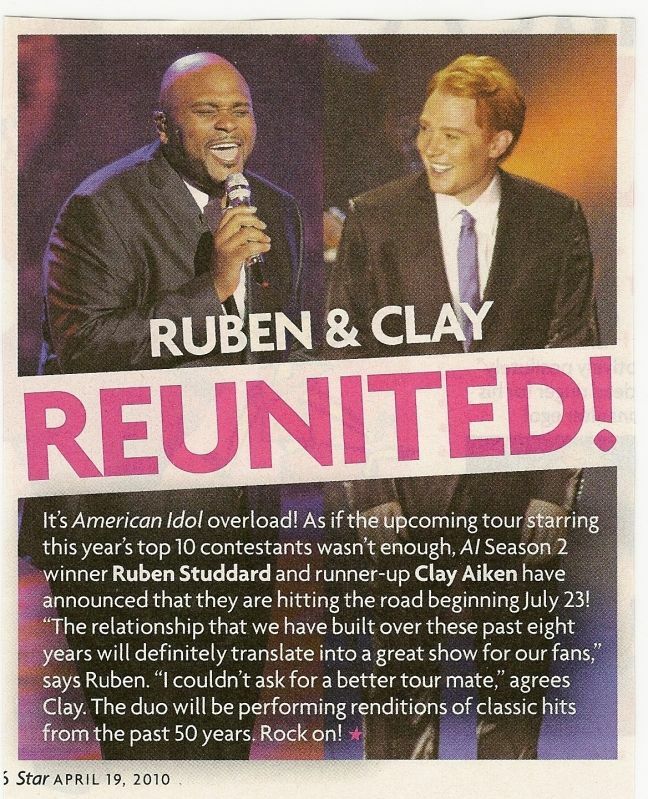 Love..Love..Love the pic of Clay and Ruben in the Star Mag. Not a fan of that mag. at all..but, hey, its PR. Love that picture by LCV. Clay is sooo handsome. Thud!! I'm happy to have any type of positive PR for Clay no matter the source. Thanks for sharing that. Error: Error validating access token: Session has expired on Tuesday, 21-Aug-18 16:13:01 PDT. The current time is Friday, 26-Apr-19 01:39:15 PDT.